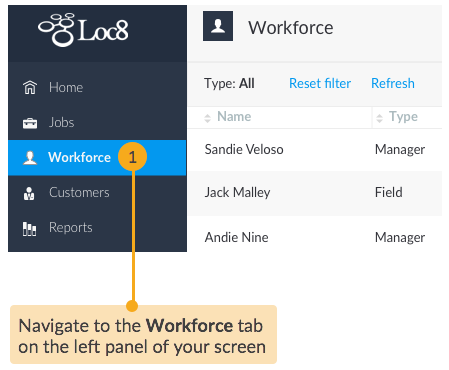 Inviting your staff or colleagues to Loc8 is indispensable when it comes to establishing instant collaboration between your office and field staff, and expediting job completion within a scheduled period of time. Based on their roles, each person can be added as a user under one of the license types - Manager, Desk and Field, where Managers can manage all jobs in the business and be assigned to them, Desk users can manage jobs exclusively, and Field users (technicians) can only be assigned to jobs which they will execute on field and log their field into Loc8 mobile app. 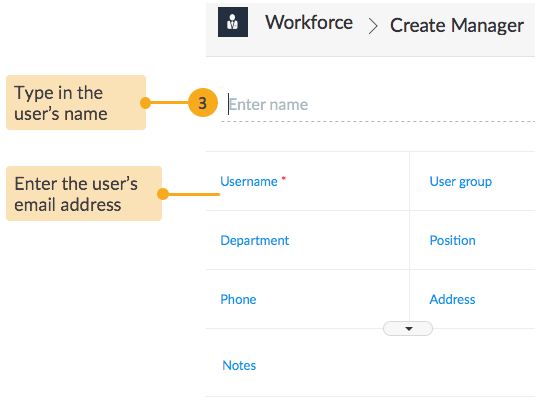 Do you want to see a summary of features the different user types can access? Check out our article Introduction to Workforce to know more. If you're the Subscriber, congratulations! You'll be sending out the very first invitation. 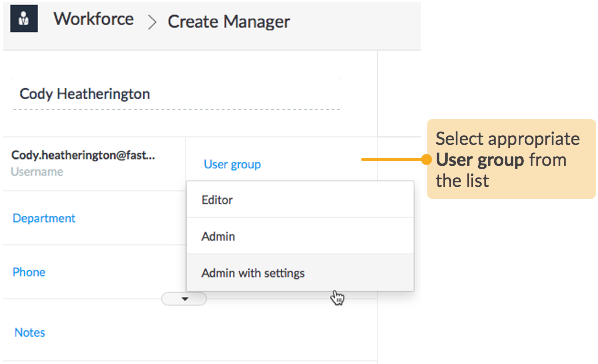 Thereafter, any user within the Admin with Settings user group can invite other people to become a part of Workforce. STEP 1 If this is the first time you are adding your team to Loc8, use the Getting Started section as your guide to adding your first user. For subsequent user additions, go to the Workforce page. 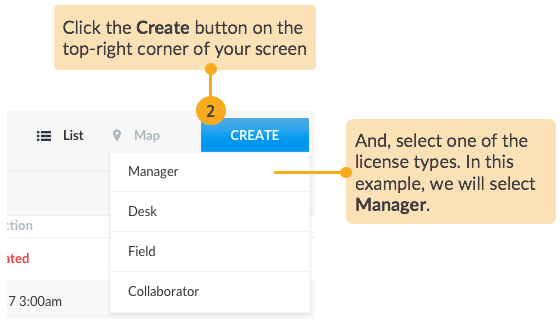 STEP 2 Select a specific user license for your staff. STEP 3 Fill the user profile. 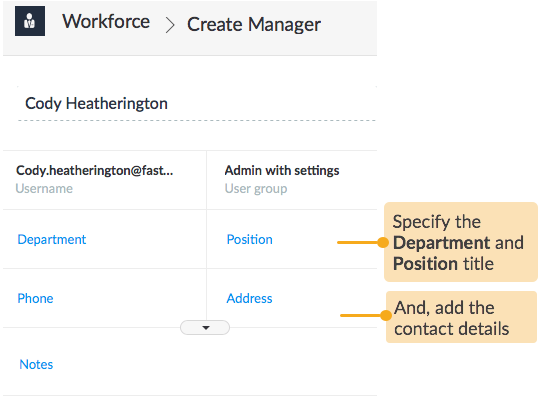 Set the Username, Position title at work and contact details. Select the User group to define the allowed permissions and provide the contact details. NOTE: Double-check if the email address in the Username field is actively used by the person because the invitation email will be automatically sent out to that email address. 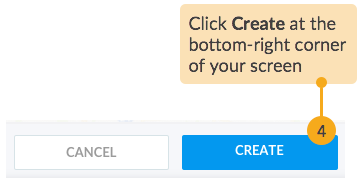 STEP 4 Lastly, go ahead and create the user. Now that you've set up the user profile, the person must check their email account (as mentioned in the Username field), open up the Loc8 invitation email, and click the activation link. You can read about this in the article Accepting Invitation and Activating Loc8 Account.